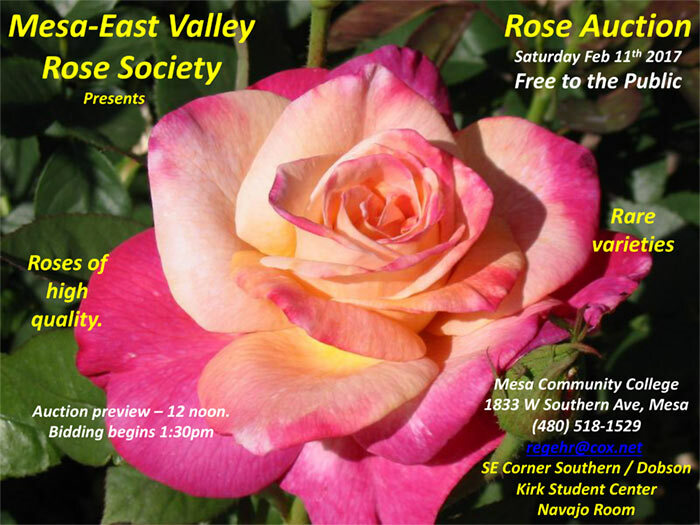 Come have fun and bring home fabulous roses! Kirk Student Center, Navajo Room. Click here for updated Auction Catalogue! It features photos of the auction roses and info about them. Click here for map of Mesa Community College Campus.